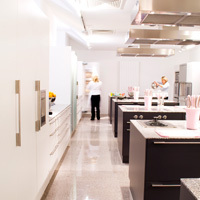 We offer amateur cooks the use of our modern kitchen studio, complete with the newest appliances. This is a great idea for a birthday invitation or a very special cooking event. We will shop for you and offer a complete service in the kitchen with assistance such as preparing vegetables and peeling potatoes etc. and you can cook as the great chefs do for your guests. 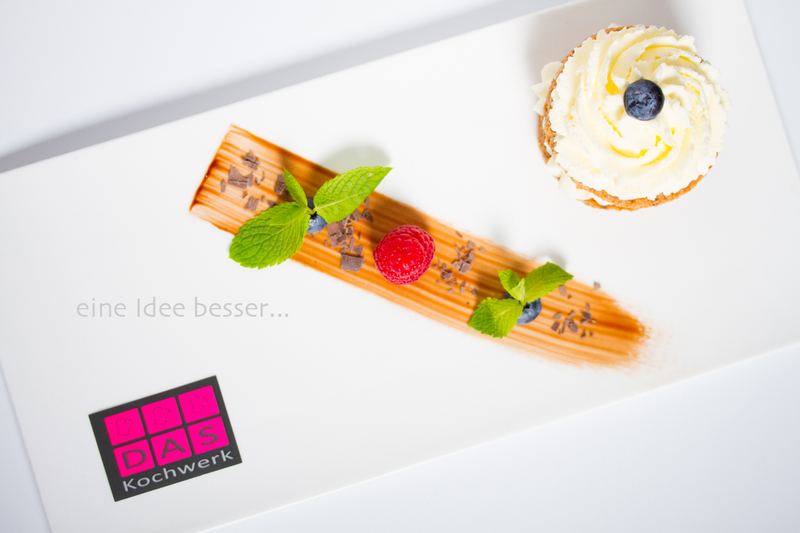 We will also gladly organize Christmas, birthday or other festivities in our Kochwerk premises. Should you like to organize your cooking event all by yourself we offer our location for rent in the months January to June and September/October. Presence of our cleaning lady until no later than 11pm. During the event she will wash dishes and will put all things back where they belong. We can also offer you grocery service, our help during your cooking and/or serving and you have the possibility to use our linen tablecloths and napkins - please ask for the prices. There are also special prices for using the Kochwerk as your ultimate foto location - without cooking - don`t hesitate to ask.